The Apalachee Audubon Society is excited to announce the following scholarship for 2015 with a focus on youth education. 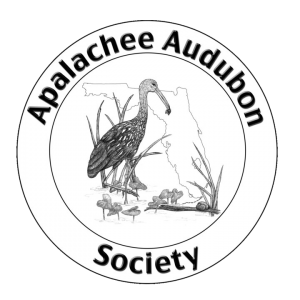 Apalachee Audubon Society is proud to announce the third annual scholarship for a local teenager to attend Camp T.A.L.O.N. (Teen Adventures Learning Ornithology and Nature). This five-day intensive camp is for teens ages 12-16 interested in birds and nature with a focus on birding. The camp is hosted by the Georgia Department of Natural Resources in partnership with the Georgia Ornithological Society. Instructors of the camp are professional biologists and teachers with over 20 years of experience. In 2013, Apalachee Audubon sent the first Camp T.A.L.O.N. scholarship recipient, Lexi Campbell, to the camp followed by Sarah Tharpe in 2014. The chapter is currently reviewing applications for the 2015 scholarship.